Joyful Noise, this is G.G. 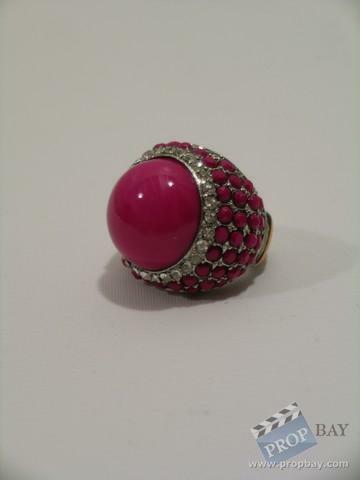 Sparrow (Dolly Parton) screen worn, hero, large pink rock with smaller pink and clear rocks on the side stretch ring. Added: 06-12-2012 - Viewed: 1381 times.